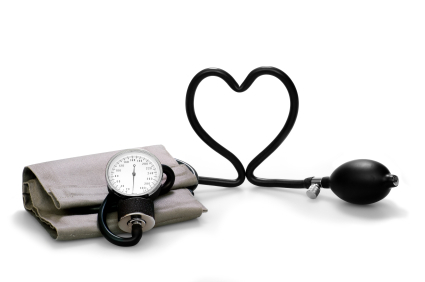 Your physician may want to look at how your blood pressure changes over a 24 hour period. This is called "ambulatory blood pressure monitoring" because you can walk around and do your normal daily activities while your blood pressure is being measured. Why would you bother paying for and putting up with 24 hour ambulatory blood pressure monitoring when you can get your b.p. quickly and instantly checked at the doctor's office for free? Think of the difference between a snap shot and a full-length slide presentation. With the former method, you get only a quick impression, which may be misleading, but you get a lot more information provided by the latter. Not only does Ambulatory Blood Pressure Monitoring measure your b.p. dozens of times over a 24 hour period, it avoids falsely elevated pressure readings that can occur in a doctor's office (officially known as "white coat syndrome"). For many people, the more realistic readings of an ambulatory blood pressure monitor mean a more accurate diagnosis, and that can save them from over-medication, and sometimes, any prescription medication at all. If you or your doctor suspect that you suffer from high blood pressure, seriously consider investing 24 hours and a few bucks in order to get a more complete picture than a 3 minute clinic reading can provide. It could save you a lot of money and medication in the long run. How do I get Ambulatory Blood Pressure Monitoring? Your doctor gives you a prescription for ambulatory blood pressure monitoring. You contact the Living Room to book an appointment. Plan to come in the morning, as that is when doctors often like to see the first reading. You come into the pharmacy, and our trained technician will set you up. You will wear a blood pressure cuff that can usually be hidden under your shirt sleeve. Attached to this is a pocket containing a miniature blood pressure monitor which is slightly larger than a mobile phone. When you come in the next day, we remove the cuff, hook up the mini-monitor to our computer, and print out a 24 hour reading. Within a few minutes, we can explain the results to you, fax a copy to your physician, and give you the original report. The monitor is not waterproof! Don't wear the band in the shower or bath. If you can't bear the idea of not bathing over a 24 hour period, remove the monitor for your bathing regime. Stressful situations can trigger a sudden squiggle to show up in the monitor report, so you might want, for example, to avoid parallel parking on a busy street during rush hour!